DiS meets Death Cab's Ben Gibbard: "You can never go back to what you were"
"I’ve never heard of a band I know calling a meeting saying, 'You know what guys, we’ve really gotta get back to the way it used to be', you know?" Ben Gibbard is telling me about Death Cab For Cutie’s new album, Kintsugi. I get the feeling that he’s a bit tired of people pointing out that it sounds more like “Seth Cohen’s Death Cab” than “Codes and Keys Death Cab”. Seth Cohen’s Death Cab wrote those turn-of-the-millennium albums that give you a swooping feeling in your tummy and remind you of being young and thinking that you know everything about everything but not actually knowing anything about anything. Seth Cohen’s Death Cab is all first loves and heartbreaks, endless summers and hangovers that last hours not days. Seth Cohen’s Death Cab is Ben Gibbard singing your life with his words. But Seth Cohen’s Death Cab is gone. The problem - “the best problem to have” - is meaning so much to so many people. For those of us who scrawled Gibbard’s lyrics on our textbooks, backpacks and Converse, he literally wrote our adolescent diaries. But Gibbard is staring down the barrel of his 40s now and those emotionally turbulent young fans are grown up with mortgages, children, birthday card drawers and pensions. Those albums are “further and further in the rear-view mirror” for both the band and its fans. But still there must be pressure to capture the feelings that Death Cab loyalists are feeling now? “I think that everybody wants that feeling again that they had when they heard their favourite record by their favourite band at a really pivotal time in their lives. And I just think that those moments are virtually impossible to recreate, for so many reasons,” he says. Kintsugi is the correct length for an album (11 songs). It runs for 45 minutes and 5 seconds, and ends in the same way that it begins so you can listen to it on an infinite loop if you want. It’s full of driving beats and riffs that reflect the lyrical themes of distance and running both to and from something. There are old Hollywood motifs, hints of a country lilt over layers of synth, moments of pure pop with something straining underneath to get out. There was some unrest in the band, too. Longtime Death Cab guitarist and producer Chris Walla was originally meant to produce Kintsugi - just as he has with pretty much every Death Cab release since Something About Airplanes - but near the beginning of the recording process something didn’t feel right. We talk a little about Kim Gordon’s book, Girl In A Band. We’ve both read it recently and both enjoyed it a lot. I mention the chapter where she talks about hearing Free Kitten songs occasionally and thinking it’s her daughter Coco. “It’s the strangest feeling,” she writes, “rediscovering your own self and listening to it without hating it. It’s sort of like looking at old photos of yourself and realising you looked pretty good after all.” Has Gibbard ever had a similar experience? As anyone who has searched Wikipedia for the definition can tell you, kintsugi is the Japanese art of fixing broken pottery using a purposefully eye-catching lacquer, usually with gold, silver or platinum mixed in. The idea is that any cracks and splits in an object are celebrated as part of its life rather than disguised and covered up. Death Cab fans who are worried that Kintsugi is the band’s last hurrah, that the cracks and splits in the band can’t be repaired, should take heart: there are new musicians being mixed into the lacquer. 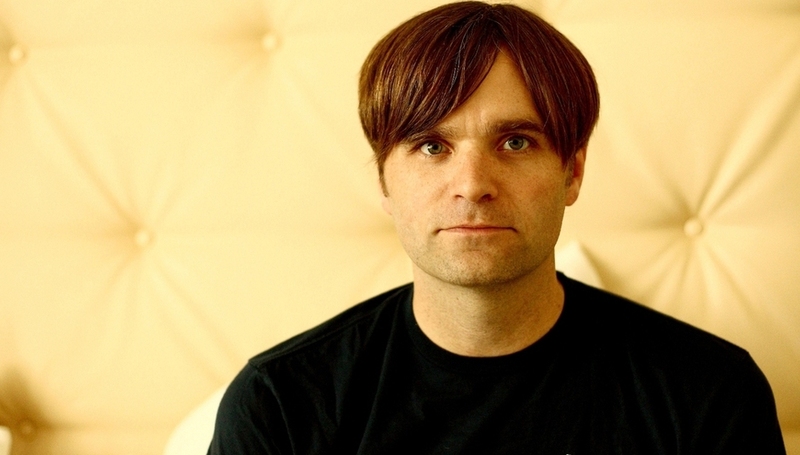 “If I write good songs, we make good records,” Gibbard says matter of factly. “If I’m writing bad songs, we make bad records. It starts and ends with the quality of the songwriting. Not to mention the massive creative contributions that both Nick and James have made over the years. They’re also brilliant musicians, and we’re entering a period where we’ll most likely have two new members in the studio with us when it’s time to make another record. And they both bring exciting talents with them as well. “So I really believe that as long as I’m writing my better songs, we will continue to make really good records. If I’m writing bad songs, we’ll make bad records. It’s the way it’s always been and that’s the way it’ll continue to be. As Gibbard’s favourite quote goes, sometimes it is the artist’s task to find out how much music you can still make with what you have left. It sounds as though Death Cab have plenty left to work with.